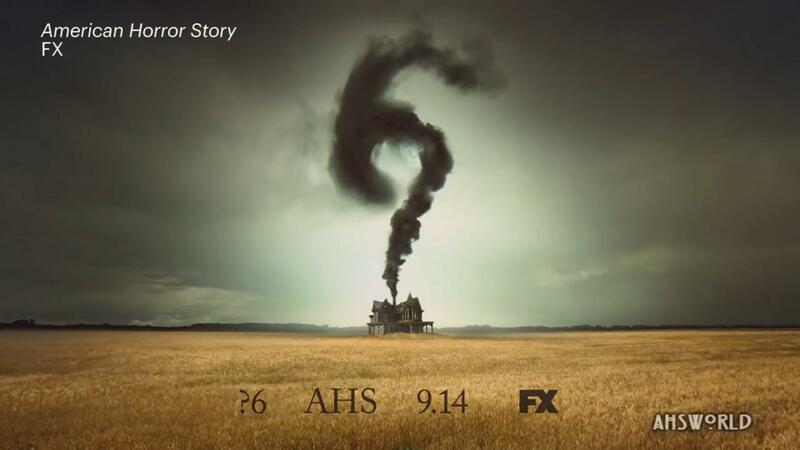 If there is anything an "American Horror Story" fan knows, it's that the opening credits are one of the best parts of the series. They are scary beyond belief, they've got the same weird, creepy theme song that would most definitely give you nightmares, and a lot of the time, they give clues as to what's going to happen throughout the series! In honor of the upcoming still untitled season 6 (premiere on September 14), we've gathered all the opening credits, including this season's and have ranked them from least to most creepy. 5.) "American Horror Story: Coven"
Coven was dubbed the campiest of the seasons, but we still love it just as much. It's a season about witches, and the best white witch of them all, Stevie Nicks, makes an appearance. What's not to love? Plus, these opening credits just give us the goosebumps. 4.) "American Horror Story: Freakshow"
2014's season of AHS was filled with musical performances (Jessica Lange singing David Bowie was flawless) as well as a bearded lady, and a three breasted woman. Amazing? Yes. Creepy? Absolutely. Just look at those clowns! 3.) "American Horror Story: Asylum"
The second season of AHS was probably the most twisted. Nazi's, aliens, mental patients, oh my! Probably the creepiest part of the opening credits? The diabolical smile from the Mother Mary statue. 2.) "American Horror Story: Murder House"
The first season of the anthology series definitely gave precedent for seasons to come. Murder House was your typical scary season, turned up 10 notches, and the opening credits sure did not disappoint. 1.) "American Horror Story: Hotel"
Last season's opening credits have to be the scariest of all. We all stay in hotels, and we all have these fears. Blood dripping from the walls, several blonde haired children making an ode to "The Shining" standing around...you know this season is going to be one of the scariest. Check out more AHS love in the gallery below! Mary-Kate Olsen and husband Olivier Sarkozy kiss, show rare PDA at the Hampton Classic -- see the pics!